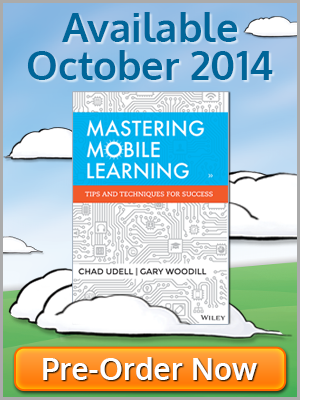 Last month’s newsletter presented ways that mobile learning could be used to increase revenue. It explored how mobile devices could be used to educate customers about product features and benefits and examined ways to offer better service and support once a customer purchased a product. In addition, last month’s issued presented ways that mLearning could help improve sales force effectiveness by providing better training and access to information when sales professionals need it most. “A penny saved is a penny earned.” These famous words of wisdom from Benjamin Franklin are sage advice in today’s tough economic climate. This month’s newsletter takes an in-depth look at how mobile devices and access to more timely information can help companies manage and ultimately lower costs. While there are a myriad of ways for organizations to manage their costs, learning and development efforts usually involve helping people do their jobs faster, better or cheaper. How does faster, better, cheaper translate into cost savings? Working faster means more gets done in a shorter period of time. This results in fewer people needed for a particular task, more time for other tasks to be completed and, just as importantly, the ability to handle more (more warranties, more service calls, etc.) with the same amount of people. Working better translates into higher quality output which results in fewer service calls, warranty claims and rework, not to mention happier customers. Working cheaper means using fewer resources to complete a task. This could mean anything from using fewer raw materials when producing a product to using less expensive computers or software. For any of these improvements to actually reduce costs, an increase in one of these areas cannot be offset by a decrease in one or both of the other areas. For example, it doesn’t help to simply work faster if there is a corresponding drop in the quality of the final product. So, what are some of the ways that mobile learning can help people work faster, better and cheaper? One form of mobile learning consists of reference material and job aids. Mobile devices, with their instant-on, always connected qualities can be a rich library of information for service technicians and others who travel for their jobs. Imagine a new washer and dryer repair person who has been trained on the latest models produced by their company, but has not been in the business long enough to see the differences in washers and dryers that were made five or ten years ago. By putting repair manuals online and easily accessible through a mobile device like a smartphone or an iPad, the need to carry and keep track of potentially hundreds of paper repair manuals is eliminated. In addition, if designed properly, these reference materials can provide significantly faster access to information and offer much more detail than what traditionally has been produced with paper manuals. This same basic principle can be used in other industries also. Arborists, who have to identify and diagnose many different forms of tree diseases, can benefit from having pictures available on their mobile device along with a prescription for treatment. In addition, the geolocation feature on many smartphones can help by automatically sorting and filtering the information based on the arborist’s location and the types of trees that are most common to that geographic area. These forms of reference materials can reduce costs in a number of ways. First, the cost to update electronically available materials is significantly less expensive than having to update and reprint paper versions of manuals and reference guides. Second, when designed properly, access to the necessary information can be much faster and easier than traditional paper-based materials. The geolocation feature is one example; a well indexed and fully searchable reference guide is another example of how companies can save costs by providing faster access to information. Finally, the opportunities for collaboration and communication with a mobile/electronic version of various reference guides and job aids should not be overlooked. Imagine if the washer/dryer repair person found an error in the manual or a more efficient way to make a repair. By having the ability to comment on or rate that section of the job aid, others could easily benefit from the experience. In essence the repair manual of the future is continually being updated by the experts. It’s Wikipedia for washer/dryer repair manuals; it’s Bing for HVAC technicians. Another related but distinct area of mobile learning that can help organizations reduce costs is performance support tools. Performance support tools, like reference guides and job aids, help people do their jobs better and more efficiently. For example, in the construction industry, equipment safety checks are a critical part of preventing accidents and keeping workers free from injury. Organizations such as OSHA in the United States require these safety checks to be documented as part of standard start-up procedures for various types of equipment. Oftentimes the documentation paperwork gets misplaced or forgotten. This lack of compliance can lead to fines and increased insurance costs or worse – accidents that have severe ramifications. One need only look a little closer at the current oil rig disaster in the Gulf of Mexico to hear how shortcuts were encouraged and safety practices were not followed in order to bring the oil platform on-line faster. An electronic checklist created for use on a mobile device can have several advantages to ensuring compliance. First, there is an electronic record that the inspection has been completed which can be sent to a centralized database. If an inspection has not been completed by a specified time, a reminder notice can be sent to the machine operator or the safety manager. If a safety issue is detected, then it can be recorded using the camera. A company called Earthrise Technology has developed an innovative mobile performance support tool. Earthrise is a subsidiary of Digisec Group (www.digisecgroup.com), which is a leading supplier of after-market automotive security products in China and also develops and distributes state-of-the-art telematics products for the transportation industry. Earthrise recently released a product called Eco-Way that combines a personal navigation system with an on-board diagnostic system that monitors a number of factors related to how efficiently the vehicle is operating and how economically the driver is operating the vehicle. This tool provides both real-time data to those driving the vehicle as well as a web portal for others to review, making it ideal for transportation companies wanting to better manage their fuel consumption costs. For companies that have large fleets of vehicles, and spend significant amounts on fuel, this tool can serve as an excellent training device to help drivers maximize their fuel efficiency and help vehicle maintenance workers keep vehicles properly tuned. Earthrise estimates that through the use of Eco-Way, drivers can improve their gas mileage and reduce their carbon emissions by up to 45%. If your company doesn’t repair washers and dryers or have arborists who examine trees for disease and infection what applicability does this have to you and your organization? What if you are not part of a construction company or one that has a large fleet of vehicles? How do you apply the principles of mobile learning to manage costs in your company? With any organization, the process of managing costs begins with first looking for opportunities. Set aside for a moment the idea of mobile learning and examine how employees are spending their time and the quality of the work they produce. What information do they need on a regular basis to do their jobs and do those jobs expertly? Focus on the time they are away from their desks and don’t have access to a traditional desktop or laptop computer. What must they do while they are at their desks that they cannot currently do elsewhere? Remember, today’s mobile devices have as much computing power as the desktops from just ten years ago and in many cases they have a much faster connection to the internet. Can you provide them with better access to information? Are there ways to combine learning with their daily activities (like Eco-Way does for drivers)? Cost reductions, like many other business challenges, are best solved by taking a step-by-step approach. Start by breaking the problem into piece parts, then look for opportunities for improvement. When all the features of today’s mobile devices are combined with the information needs required by many of today’s jobs, practical opportunities will present themselves. 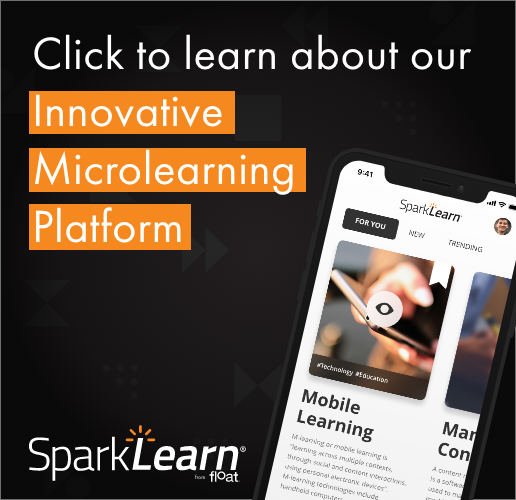 With patience and a questioning attitude, there is no doubt that cost reduction opportunities exist with the use of effective mobile learning.